Alrighty, so here I am, trying to resurrect this little ole' blog. Though I never did use this blog to get too personal or share my innermost thoughts, I have always enjoyed having a place to come and look back at snippets of memories that I decided to share for whatever reason at the time. And of course, to share my scrappies. So, I'm gonna try this again. I wasn't that great at keeping up with it once we added that third little person into our lives, but I'm hoping I can do better. And if not, that's ok, too... I'm realizing that I can't do it all, which is a liberating yet difficult concept to grasp ahold of. So, scrapbooking. Hadn't done it since December. SIX months! Wow. Almost half of 2012 has passed, and I have barely a creative token to show for it. I lost so much motivation for it after Lucas was born, but last night, when I had all my supplies out, it all came rushing back. And I remembered why I fell in love with this hobby in the first place. 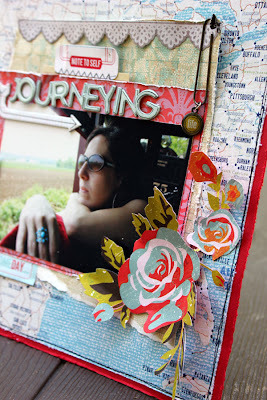 Like playing the guitar used to do for me (something i'm also trying slowly to pick back up), scrapbooking was a way for me to get lost in something that made me feel a sense of accomplishment. And with this hobby, I get to express myself creatively and artistically, and that is one of the best feelings in the world. So, I dusted off my tape runner, and I got to work. 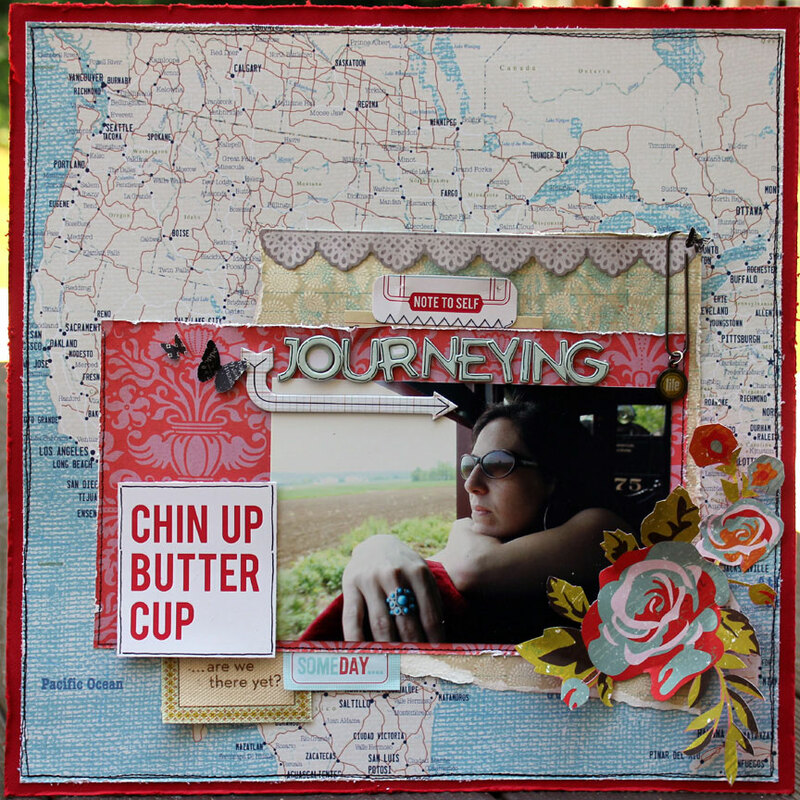 This layout was a really personal one for me. I can't remember the last time I had hidden journaling (located on that 'note to self' tag behind the photo), but I had things to say that I didn't really want to share with the world ;-) And this layout reminded me how therapeutic and freeing it can be to get lost in creativity and writing. And with that... i'm back, and i'm hoping my scrapbook room and I can get reacquainted. Woohoooooooo!!! You know I've missed the heck out of ya, but can totally understand what adding that third sweet bean can do to your time and mojo. :) I love the layout, and I can't wait to see more from you, my friend! hey staci! are ya back?! how's it going? miss you!